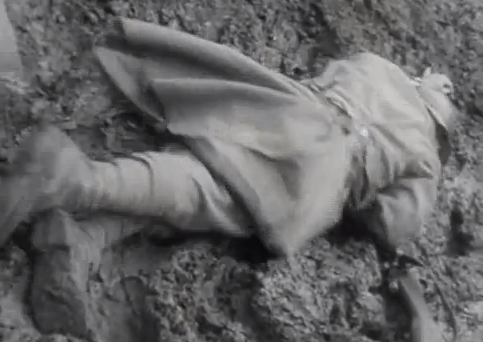 Via the Funambulist I’ve stumbled across an early film by the young Peter Watkins, The diary of an unknown soldier. Made in 1959 when Watkins was just 24, six years before The War Game, it recounts – in what was to become Watkins’ signature documentary style – the last, desperate hours before a young soldier on the Western Front goes into combat for the first time. The connections with “Gabriel’s Map” are very clear (at least to me: there are several sequences in which a young subaltern annotates his map). But what about the other ‘unknown soldier’ (or, rather, soldiers)? The origins of this iconic memorial go back to 1916, when a British Army chaplain serving on the Western front, David Railton, saw one of countless graves on the battlefield at Armentières, this one marked by a simple cross bearing the words: “An unknown British soldier.” He became determined that those un-named soldiers from all over the British Empire who had fallen on the Front should be honoured by a single public memorial in Britain. Similar memorials were constructed in other European countries, Australia and the United States. 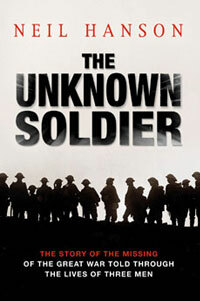 You can find the full, much richer story in Neil Hanson‘s beautifully written and carefully researched The Unknown Soldier (2005), which splices the story of the iconic ‘unknown soldier’ with the stories of three others – British, French and German – who were declared missing during the War. The classic discussion of some of the wider issues remains Jay Winter‘s Sites of memory, sites of mourning: the Great War in European cultural history (1998), while later this year David Crane promises to provide an account of the personalities and the politics involved in the construction of war graves in Empires of the Dead (2013). This entry was posted in film, World War I and tagged Peter Watkins, Unknown Soldier, war graves, Western Front by Derek Gregory. Bookmark the permalink.